There's an energy and dogged determination one feels when visiting Nigeria for the first time. It's that palpable can-do, roll-up-your-sleeves, hurry-up-and-wait atmosphere that is simply intoxicating. There’s a true sense that anything is possible if you’re determined to succeed and ask for your place at the table. So, when Nigerians move, they move fast and they do so with a single-minded purpose, but in an effusively polite way. It is this dynamism and an economy fuelled by oil, that has led to it becoming a key regional player in West Africa. What does that mean for the travel industry? One of the largest economies in Africa, and with a population of over 180 million people, Nigeria is the largest consumer market in Africa. While South African travel companies grapple with a tiny market of a few million outbound international travellers, predominantly corporate in nature, Nigerians travel internationally in their millions. In fact, travel is so loved by the Nigerian people that a Lagos-based tour operator once told me they would rather go hungry than not travel. For Nigerians, travel is seen as a status symbol. They want to flash the Gucci bag they bought in London, the latest iPhone from 5th Avenue in New York, and the most sparkling rose gold they could find in Dubai. An extremely positive, entrepreneurial nation, the Nigerians are brand loyal. Value for money is far more important than price, and since cash is still a popular form of payment, travel bookings are very last-minute, reflecting their need to save up and book only once they have the disposable cash to pay for their travel. Nigerians also generally take multiple trips a year and are willing to work around visa barriers if the process is favourable. Visa processes to the USA and South Africa quite often are a deterrent to outbound travel. It is not unusual for a Nigerian to cancel their travel plans the day before travel because their South African visa has not been issued in time. The prospect for growth in Nigeria? Spend is expected to grow in the coming years as travel becomes increasingly attractive for the youth, especially those within the middle- to high-earning brackets, with a desire for leisure holidays. 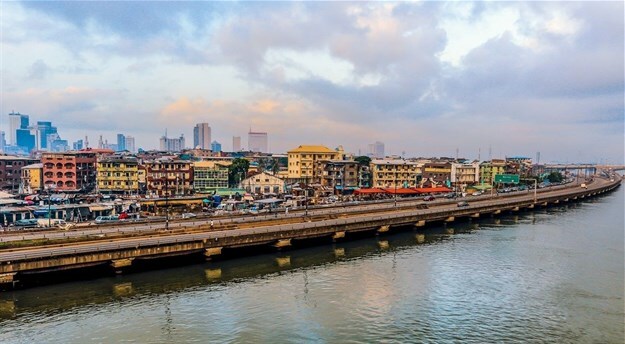 Fast-growing cities like Lagos show signs of an expanding middle class, driving the potential for the outbound travel market, while international airports at Lagos, Abuja, Kano, Port Harcourt and Enugu are platforms for new outbound travel routes. Nigeria’s rate of urbanisation is also said to be one of the fastest in the world. According to the African Development Bank, the Nigerian middle class accounts for about 23% of the population, with the majority living in urban centres, particularly Lagos. McKinsey puts the number of urban households with purchasing power and annual incomes over $10,000 at two million. Deloitte breaks the class income brackets down further, providing insights on an upper class, low upper class, upper middle class and lower middle class, which comprise 3.3m, 12.5m, 35.5m and 46m individuals respectively. For travel companies, that represents a significant potential market segment that could be inspired to visit a destination. Nigeria did experience a recession in 2016, which saw the normally robust appetite for travel among Nigerians slow as a result of reduced disposable income and a naira-dollar exchange rate that was double what it is now. The unfavourable exchange rate of the naira was a major factor influencing outbound travel, especially during the recession when the naira hovered around 360 to the dollar. Today, it is set more favourably at 160 naira to the dollar and has been stable for some time, which helps travellers to plan. According to the World Travel and Tourism Council, in 2017 spend for leisure travel in Nigeria reached NGN1,929bn (R67bn) and business travel, NGN3,034bn (R65bn) – leisure being the marginally bigger ‘reason for travel’. With economic improvements over the past year, the Nigerian outbound travel market is recovering and the traditionally heavy focus on corporate travel has changed to include more leisure travel, as the 2017 WTTC statistics appear to indicate. So, if you’re a global travel company or a destination with good air access to Nigeria, this is the time to start considering what the Nigerian market could do for you. Consider working with an African travel expert to take a page out of the Nigerian playbook and book your space at the table before it’s too late.